After months of speculation, it’s finally been confirmed that the Nokia X6 will begin arriving in markets outside of China on July 19. The smartphone, which will be internationally known as the Nokia 6.1 Plus, will be made available in Hong Kong initially, although other global regions are expected to receive the smartphone at some point in the future. At first, though, it appears HMD Global may be concentrating on certain Asian markets where the device could potentially sell better. As expected, the smartphone is identical to the Chinese model when it comes to specifications and design. This means a tall 5.8-inch display complete with a notch will be featured along with a glass build and two cameras on the rear. Internally, the Snapdragon 636 is coupled with the choice of either 4GB or 6GB of RAM. The former variant is available with either 32GB or 64GB of storage, while the latter model is sold solely with 64GB. Moving on to the software, this is where the Nokia 6.1 Plus differentiates itself from the Nokia X6. After all, just as expected, the offering replaces the custom UI seen on the Chinese model with stock Android 8.1 Oreo as part of the Android One program. Presently, it’s unclear how quickly HMD Global plans to expand sales of the Nokia 6.1 Plus across the globe. 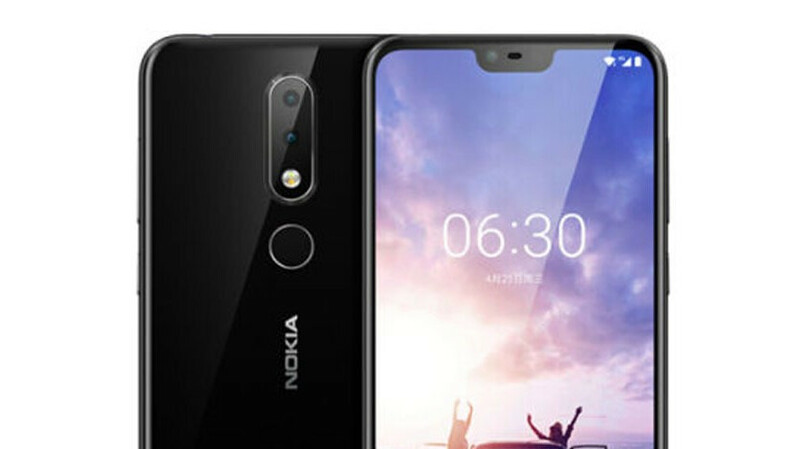 However, the naming scheme used does confirm that the Nokia X5 that is coming to China next week will be released internationally as the Nokia 5.1 Plus. But still no signs of a US release for the Nokia phones. *sighs* I think I'm going to give up waiting on Nokia to finally realize that a market exists in the US for affordable stock Android phones. He’s just trying to push his false narrative as facts on Nokia articles (and BlackBerry articles) as usual. As you already stated, the Nokia 6.1 is sold here in the states, as well as its predecessor, the Nokia 6, as well as the Nokia 3.1 and the Nokia 2. Awesome. I was going to go for the Nokia 6.1, but now I’ll wait for the 6.1 Plus to arrive. So much for Nokia not releasing this globally as some thought they wouldn’t, lol. That’s awesome. I may actually reconsider and get the Nokia 6.1 now and then purchase the Nokia 6.1 Plus when it’s released here in the states. I figured it would be a very good smartphone, as the Nokia 6 (2017) is pretty good. I own that one. The notch will fail! Always boycott the notch! How is Hong Kong “outside China”? It’s an integral part of China the same way Taiwan is. Let the price be the same so i can get 10 of these crap !